class="page-template-default page page-id-5613 wpb-js-composer js-comp-ver-3.6.12 vc_responsive"
Become a better artist … and start your own artist run, community supported WoodSongs Coffeehouse. It’s a simple concert series you can do in your living room, club, school … any place where people can gather makes a good location. The purpose is to create a national network of small, artistic stages for artists and their audiences. 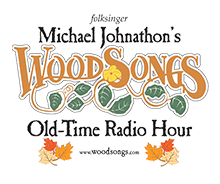 This project is a free, public outreach of the WoodSongs Old-Time Radio Hour. 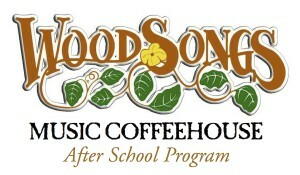 What is a WoodSongs Coffeehouse? By the term “coffeehouse” we mean a clean listening space for artists and audiences to enjoy each other’s company, their music and mutual encouragement. It’s the kind of acoustic venue that whole families can visit. 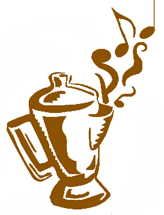 In the 1960’s just about every town in North America had a coffeehouse. Usually volunteer-run and held once a month, these were the musical breeding grounds for artists like Bob Dylan, Arlo Guthrie, Joan Baez, Don McLean, John Denver and so many others. Very often, the coffeehouses would be held in schools, church basements, clubs or even in living rooms. Time moved on and the music scene changed, but the coffeehouses continued to present wonderful concerts. By the late 1980’s and into the 90’s artists like Suzanne Vega, Tracy Chapman, John Gorka, Beck and Dar Williams cut their musical teeth in these small, hometown music venues. The WoodSongs Coffeehouse is our way of encouraging the resurgence of this musical tradition plus bring them all together in a national association of venues. This will help make booking artists, finding an audience and keeping the venues easy and flourishing for years to come. Starting a Woodsongs Coffeehouse is simple. It is held at a suitable venue in your hometown … your living room, a school, a church basement or a local cafe … on the days that work best for your community. ___* Each WS Coffeehouse presents the finest local, regional and national artists of many genres. It is a family, all-ages concert series. Yes, you can convert an existing series into a WS Coffeehouse. We will help you! ___* The WS COFFEEHOUSE is solely owned by the local presenter. All proceeds remain with the hometown coffeehouse and artists. This is a live performance opportunity that you create in your community. It is volunteer run, community venues presented in homes, schools, theaters and cafes. The purpose is to create an inter-national network of small, fun and artistic stages for artists and their audiences. This project works in conjunction with our WoodSongs Classroom project and is great for Middle, High and College level students. They are encouraged to start an actual performance series in their school. It can be during a dedicated, approved class period, a lunchtime stage or as an after school activity. Students will be able to write songs, develop a sense of community, learn instruments and experience the art of performing before an audience. WoodSongs will provide a “how to” manual to help teachers and students make this a success when a school signs up to be part of the project. This is all FREE to schools. SCHOOLS AND COLLEGES ONLY: To begin, simply register below and we will email you a PDF manual to get you started!